Internet of Things has been fundamentally altering the way we interact with our surroundings via technology. It has impacted nearly every field and app development is no different. This blog talks about IoT comprehensively- opportunities it brings and the issues it raises as seen through the lens of app development. Internet of Things, IoT as it is widely called is a network of connected people, machines, processes, and data. It has seen a steep rise in popularity as an increasing number of devices become IoT enabled. 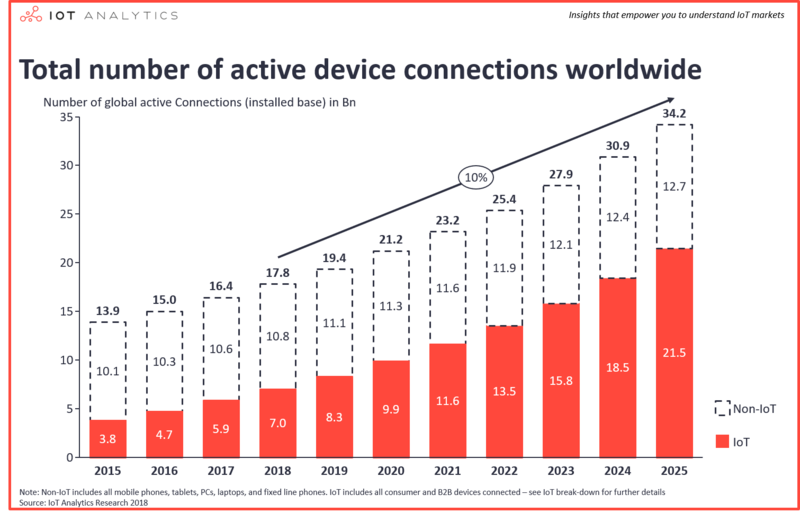 According to IoT Analytics, the number of connected devices that are in use worldwide now exceeds 17 billion, with the name of IoT devices at 7 billion (excluding smartphones, tablets, or laptops). The global market for Internet of Things that is the end-user spending on IoT solutions is expected to grow 37% from 2017 to $151 Billion in 2025. That is how fast IoT has been growing in the tech space. This disruptive technology has been transforming various industries. From agriculture to education, from smart cities to logistics, all fields have seen advancements through IoT. With everything becoming smart – connected cars, wearable devices, home appliances, and even cities now, IoT has brought and can bring many advantages further on. With devices increasingly getting connected to the internet and using a smartphone to control as well as monitor these devices, app development has to incorporate IoT. The device that is connected to the internet and collects data. This device may be a sensor on a smartphone that is accessed using apps. This tier includes software and the infrastructure to operate it. Here data is sent from the connected device to the ingestion tier to be structured and stored. A cloud solution is generally used at this level. Data from the ingestion layer can be organized and processed to generate analytics. The end user needs a way to interact with the IoT product and receive data, typically a mobile or a web app. But with the rise of smartphones, it is generally more convenient with mobile apps. This is where app development comes into play. 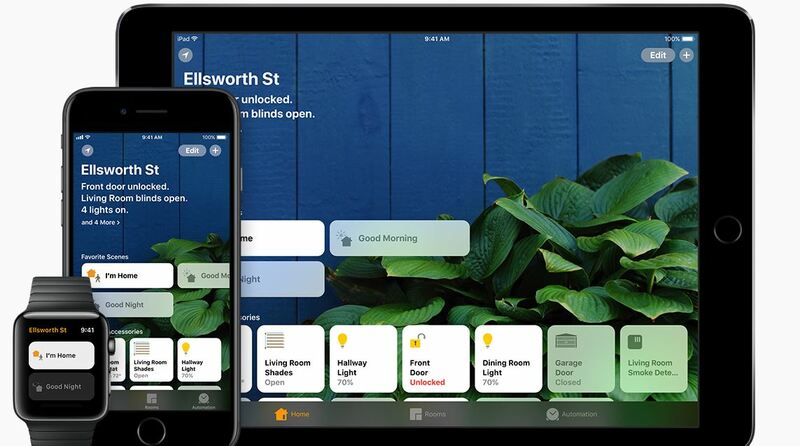 Building IoT enabled apps connects the devices to the smartphones and allow you to have complete control over their features of the gadget. Also, using these different devices through the internet means that mobile apps can easily push notifications to the smartphone directly. It allows you to control the systems from anywhere and at any time. Both Google and Apple have made available their IoT kits which allow app developers to create apps and accessories. Some platforms provide you with all the building blocks you need to create an end-to-end IoT solution, including some apps that perform essential functions. Examples are Thingworx, Mnubo, and Bug Labs. Microsoft also has its own IoT solution. These are low on coding and allow basic functionality. IoT is a relatively a new technology and is evolving continuously so you will need a scalable app that does not become obsolete in the coming years. Using Android or iOS development, building apps from scratch allows for greater customization and better functionality not limited to the modules provided by the above-stated platforms. You can write to our experts for a free consultation on developing your dream app. Since IoT apps operate from different layers, the systems become prone to security threats. The hardware itself becomes vulnerable to such attacks because of the advanced level of connectivity. As data move from one layer to another, it also needs to be secured. Users’ privacy is another challenge that IoT apps have to face. Since these systems are dealing with sensitive user behaviors, it becomes hugely important. Having devices that support IoT and upgrading to them comes at a cost. Upon that sensor accuracy, interoperability and seamless connectivity are hardware issues that can pose challenges to development with IoT. Integrating IoT modules into apps increases the complexity. This will increase the response time of the app. Higher complexity also underscores the need for a comprehensive testing strategy before the product hits the market. Since technology has made everything dynamic, hardware, chips, and devices themselves undergo a considerable shift every few years. For example with 5G kicking in, a lot of older mobile phones will be rendered useless. So IoT will have to be on its toes to adapt itself to changing needs. These challenges can, however, be overcome and make us reap the vast benefits IoT and App Development can bring us. As times progress, IoT will be so integrated into our lives that it will not even be noticeable but what will make it that seamless and omnipresent are apps. As IoT works on weaving together people, processes, and data to provide higher functionality and aid automation, it offers new opportunities to app developers. With its ever-rising popularity, app development companies are going all in to offer innovative solutions to businesses. Next Post How Neuromarketing Can Help Create Better Apps?